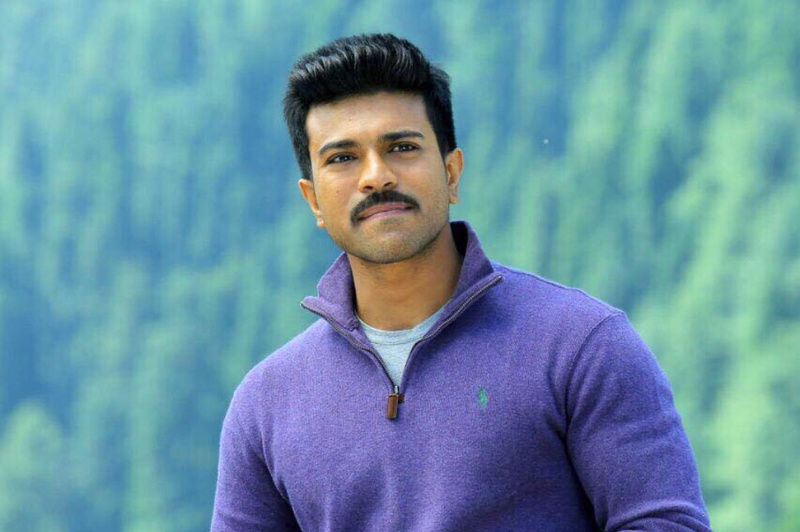 Ram Charan is an Indian film actor, dancer, producer, businessman and entrepreneur. He predominantly works in Telugu cinema. He is one of the highest paid actors in Tollywood. He has received several accolades, including two Nandi Awards, two South Filmfare awards, two CineMAA Awards, and two Santosham Best Actor Awards. He established his production house called Konidela Production Company in 2016. Ram Charan was born on 27 March 1985 in Madras (now Chennai), Tamil Nadu, India to Telugu actor Chiranjeevi and Surekha. He has two sisters named Chiranjeevi Sreeja and Chiranjeevi Sushmitha. He is the nephew of Nagendra Babu, Pawan Kalyan, and Allu Aravind. He is the cousin of Allu Arjun, Varun Tej and Sai Dharam Tej. He studied in Padma Seshadri Bala Bhavan School, Chennai. Ram Charan made his debut in 2007 with the movie Chirutha, which was directed by Puri Jagannadh. His performance in the film earned him a Filmfare Best South Debutant Award and Nandi Special Jury Award. His second blockbuster film was Magadheera, directed by S.S.Rajamouli in 2009, which was a first ever Telugu film to collect over INR 100 crores. The film received six Filmfare Awards including the award for Filmfare Award for Best Actor -Telugu and Nandi Special Jury Award for Charan. Then he acted several commercial successful Telugu movies such as Orange (2010), Naayak (2013), Yevadu (2014) and Dhruva (2016). Ram Charan got engaged to Upasana Kamineni on 1 December 2011 in Hyderabad. Upasana Kamineni is the vice-chairman of Apollo Charity and chief editor of B Positive magazine. They got married on 14 June 2012 at the Temple Trees Farm House.